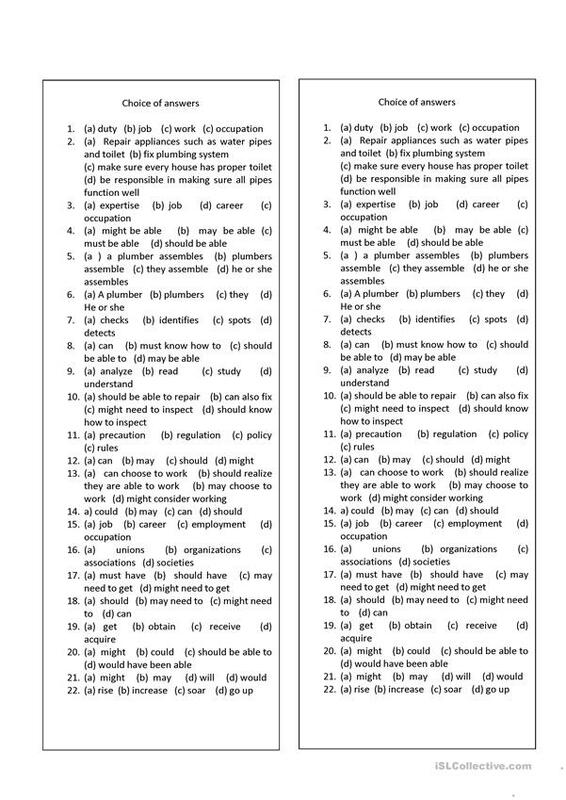 There are four choices of answers for each blank in the text either in a single word, a phrase or a clause. 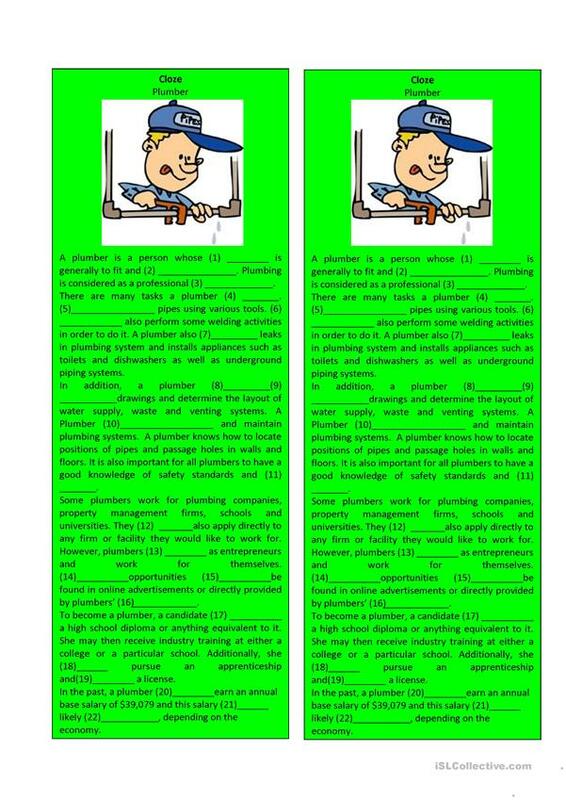 The answers involve grammar forms of nouns, verbs, modals and pronouns. Choose the most correct answer for each blank. There are 22 blanks in the text. 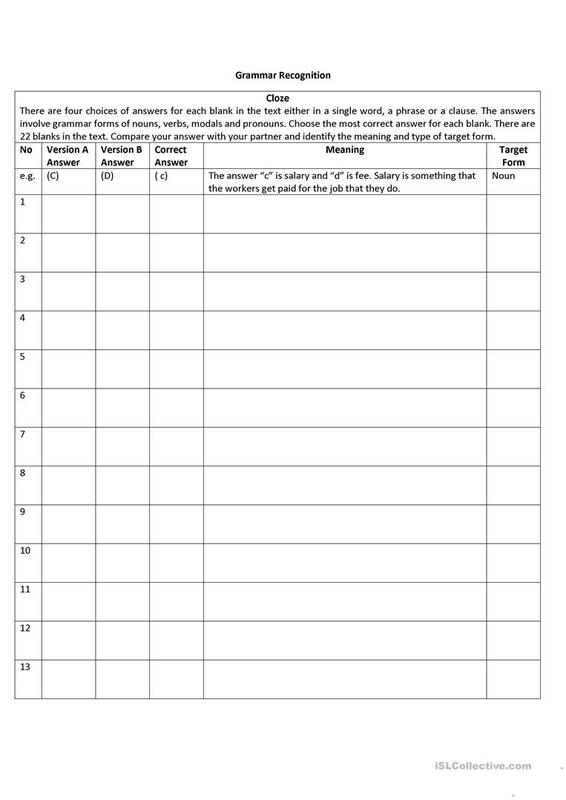 Compare your answer with your partner and identify the meaning and type of target form. The present downloadable teaching material is recommended for high school students and elementary school students at Beginner (pre-A1), Elementary (A1), Pre-intermediate (A2) and Intermediate (B1) level. 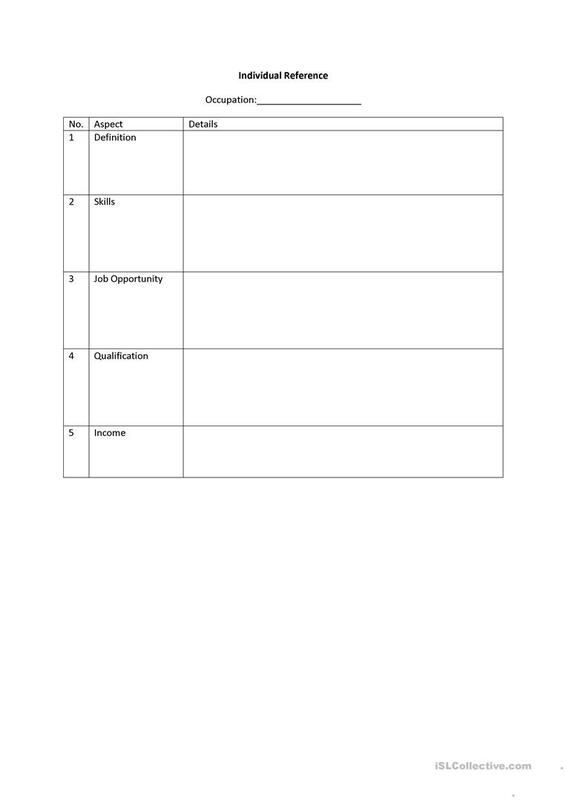 It is a useful material for revising Word order in English, and was designed for developing your students' Listening, Speaking, Reading and Writing skills. It is about the theme of Jobs, work. You will find the answer key at the end of the worksheet.